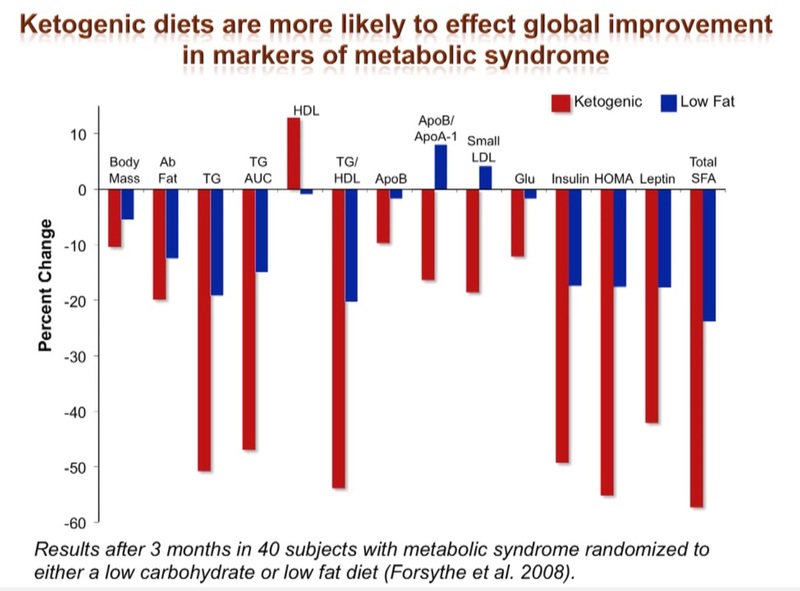 This study found that a low carb / high fat ketogenic diet showed improvements in markers of metabolic syndrome, including reduced inflammation. How can this be? Because on a carb-restricted diet, the fat you eat does not metabolize into body fat. In the absence of glucose (from carbs), dietary fat is burned as energy — as is body fat, and several important health markers improve as a result.